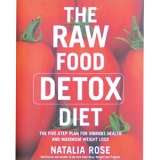 After my Master Cleanse.I am STILL RAW and will STAY Raw for this is so good for me and my body.I want to share some of my books that I read often all at the same time therefore I am never finished with any book at a given time. You have all the good ones! I love Everyday rAw by Matthew Kenny ! and Entertaining is very good too.